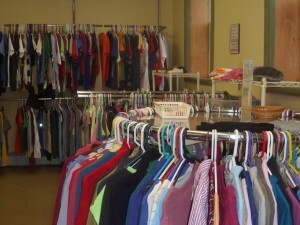 Clothing Donations are welcome on-site at any time. If CazCares is not open when you come, please place your donation in our Donation Closet, a large wooden shed, located directly outside the building to the right of the doors. If you are worried that your donation is too large or of a more fragile nature please come during our open hours from 9:30 a.m. to 12:00 p.m. on Monday, Tuesday, or Thursday. If these times do not work we are happy to accommodate you if you call (315) 655-3174. 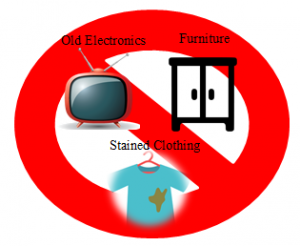 Back to School Program: If you wish to donate to this program please drop off items in July or early August. Christmas Program: If you wish to donate to this program please drop off items as early as October. We begin handing out children’s toys the first week in December.